Gayden Rasberry "Sissy" Jones died April 13, 2019. She was 82 years old. Memorial services will be held SATURDAY, APRIL 27 at 2:30 p.m. at Idlewild. Sissy joined Idlewild in 1970 and was a member of the Timothy Sunday school class. She was also a member of the Rebekah and Trezevant Circles. Her husband, Walk Jones, died in 1998. She is survived by her children, Anne Marie Caskey Day, Julie Caskey, Will Jones, Mark Jones, Walk Jones, IV; eight grandchildren; and one great-grandchild with another on the way. Please remember her loved ones in prayer. Nola McKnight, 99, died April 11, 2019. Service arrangements are pending. Nola had been a church member since 1950. She was especially active with Presbyterian Women and the Lydia and Ruth Circles. After her husband Tom’s death in 2014, she moved to Virginia to live with her children. Caitlin Bomar, Director of Children’s Ministry, has announced her resignation and will be leaving in June. Her husband, Kyle, has accepted an appointment as pastor of a United Methodist congregation in Virginia. Caitlin will be here through Vacation Bible School (June 3-7) before moving. Read Caitlin's goodbye letter. Read a letter from Steve and Rebekah. After serving at Idlewild for 16 years, Margaret Burnett, our Association Pastor and Excutive Director of CAFE, is resigning at the end of June 2019. She gave her resignation to session on March 31. Read Margaret's letter. Read Pastor Steve's letter. 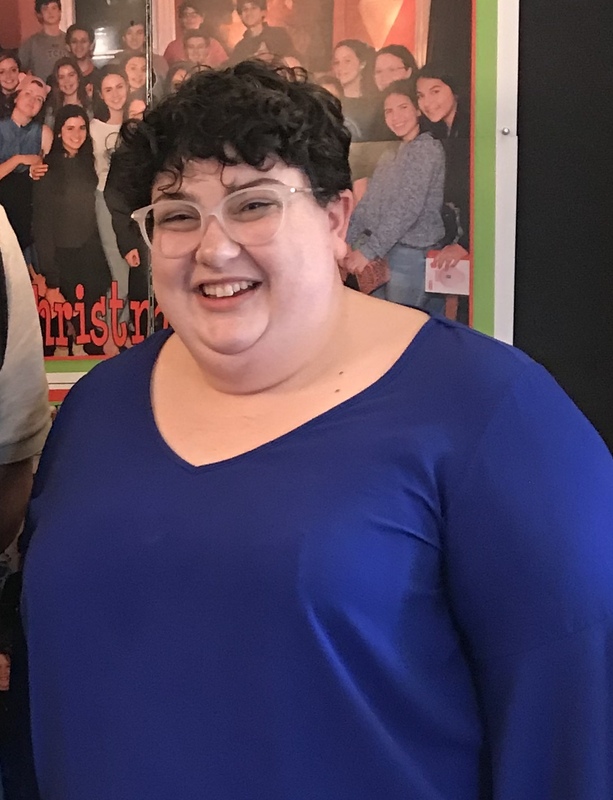 Rebekah Abel Lamar, our Associate Pastor for Christian Formation, announced on April 7 that she is leaving to become pastor of Government Street Presbyterian Church in Mobile. Read Rebekah’s resignation letter. Read Pastor Steve's letter. Many thanks to the folks at Storyboard for this great article about Idlewild. Our history and traditions have led to a presence of service in our community. At the congregational meeting on March 31, members received the 2019-20 budget and the 2018 Annual Report. We welcome Virginia Goss as our new Assistant Director of Youth Ministry. Virginia oversees the QUEST youth (6th-8th graders), as well as working with Frank and youth advisers. She is passionate about youth ministry and the importance of uplifting the voices of youth in the life of the church. Click here to learn more about Virginia. Mail or bring the letter to the church office by Wednesday, May 1, 2019. Applicants will be notified as soon as possible as to whether or not they will receive a scholarship. 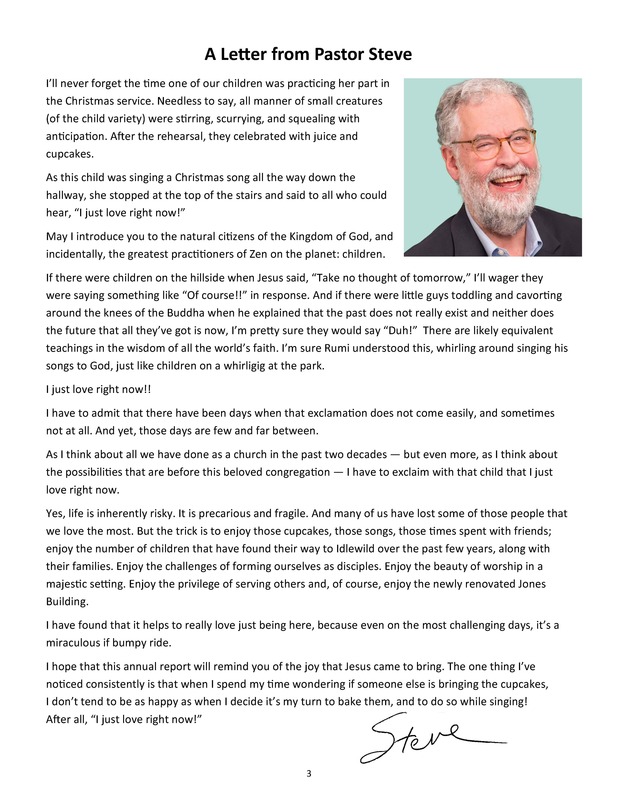 Pastor Steve Montgomery is retiring at the beginning of May 2019. (Read Steve's retirement letter.) Leading up to then, several special events and projects are in the works. Visit Special Events for updated details and to see how you can help. Sun March 31 - 1:00 p.m. Enjoy a special carillon concert filled with Steve's favorite tunes (from Beatles to Bach). Our 48 bell carillon is played by David Caudill and Peggy McClure. Listen outside in the garth, or come inside and watch a live feed from the belltower. Pastor Steve's last Sunday is May 5, 2019. That morning, we will have ONE WORSHIP SERVICE at 10:30. After worship, there will be a big potluck lunch and celebration. Everyone is invited! Visit Special Events for more details and to see how you can help. The Pastor Nominating Committee (PNC) is posting information for the congregation throughout the coming months. Visit the Pastor Nominating Committee page for more info and PNC blog updates. 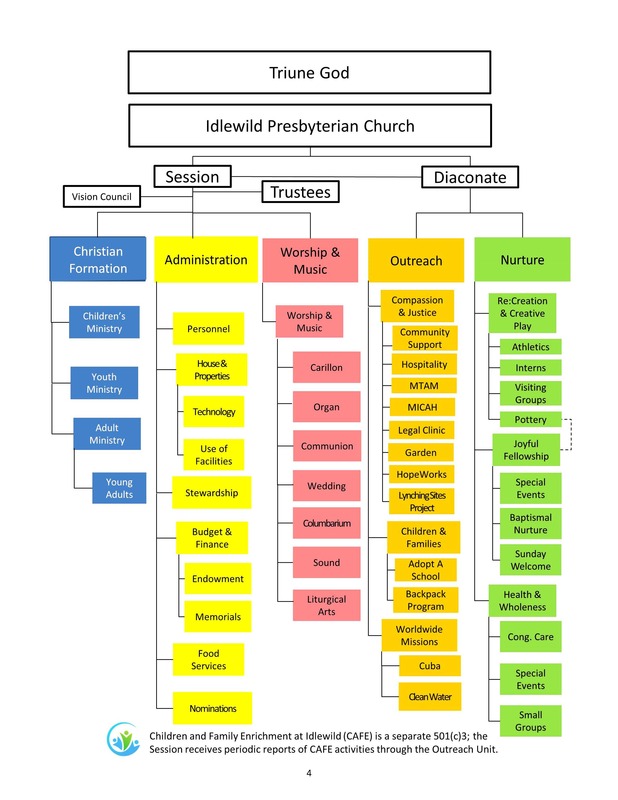 At the called congregational meeting on May 20, the church acted on Steve Montgomery’s request to dissolve the pastoral relationship between Idlewild and Steve effective on or around May 31, 2019; heard a report from the nominations committee for the Pastoral Nominating Committee (PNC); and voted on members of the PNC. These are the requirements of the Committee on Ministry of the Presbytery before they can begin to work with the PNC. Members of the PNC are Jeanne Marie Cummings, Albert Johnson, Julie Markham, Cindy Moore, Mitchell Redd, Betty Louis Sheppard (chair), Jeremy Sykes, and Jeff Thompson. SUNDAY, OCT 21 -- A congregational listening session will be held Sunday, October 21 in the chapel following the 11:00 worship service. 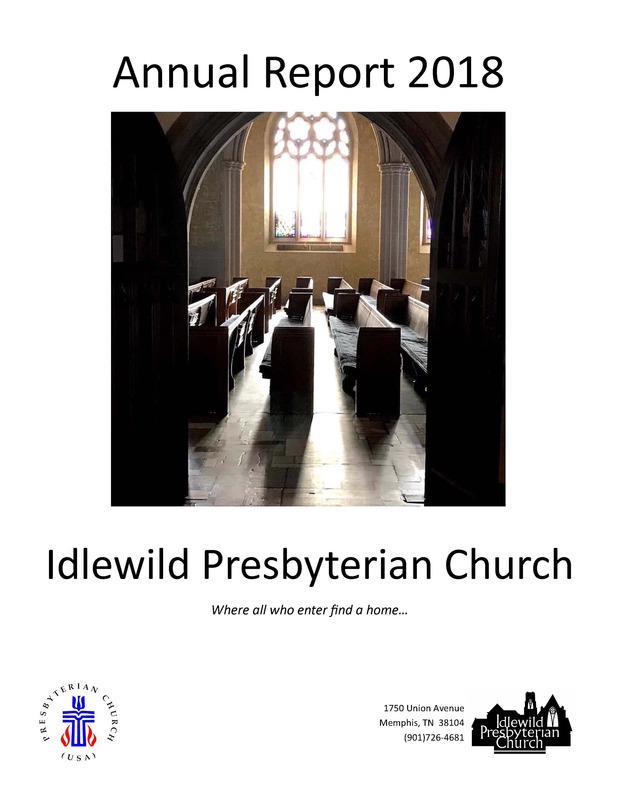 All members are invited to attend, to inform the PNC about what you would like to see in our next pastor, and to share your vision of Idlewild’s future. Visit our MICAH page for more info and events. Idlewild Presbyterian Church is a founding member of the Memphis Interfaith Coalition for Action and Hope (MICAH). MICAH is a regional faith-and-value-based coalition working for social justice in the Memphis region. It is an “organization of organizations” that seeks to identify areas of social concern, find consensus regarding the way forward, and work with community leaders for lasting change. Their motto, taken from the prophet Micah, is to do justice, love kindness, and walk humbly with our God (Micah 6:8). Are you or a family member recuperating from injury or surgery or suffering from a debilitating medical condition? If so, Congregational Care can provide help. They maintain the home health equipment closet, which has wheelchairs, shower chairs, commode chairs, walkers, crutches and many other health-related devices. Call the church, 726-4681, or come by during the week and see if we have what you need. This free program, coordinated by Larry and Shari Tucker, has helped hundreds of members and friends for more than 20 years. The revolving inventory is made possible through donations of equipment no longer needed by others. Equipment needed: Gently used wheelchairs, shower chairs, commode chairs, walkers, crutches or other non-motorized devices are appreciated. (Gifts of non-motorized devices in good repair are gratefully accepted and stored until someone expresses a need.) Bring donations to the office. Items are stored until needed. If you can't drive and need a ride to church, please call 726-4681. Drivers are needed to bring members who can't drive to church each Sunday, and take them home after worship services. If you can help, contact Anne Apple. The Prayer Shawl Ministry needs knitters and crocheters. Any level of ability is welcome! Whether you hand knit, use a knitting machine/loom, or crochet – all are appreciated. You can get patterns, work at home or join a knitting group. The time and prayers that go into the making of each shawl bring comfort beyond measure to each person that receives one. Especially needed: colors that might be more appropriate for a man. Please feel free to contact Jackie Baker, jsbaker320@att.net or 901-347-0539. Prepare a meal or two of your favorite recipe for members of the congregation who are recovering from illness or who have experienced a death in their family. Bring prepared meals in disposable containers, with cooking instructions, to the church. Meals are frozen then delivered as needed. For information contact Anne Covington at 274-5864. We need a couple of people to serve as back-ups whenever one of the regular arrangers or drivers has a conflict. If you could be on call to either arrange flowers Monday morning OR deliver flowers later that day, please contact Mary Sharp at 683-6522 or mfsharp@comcast.net. Confidential prayer requests can be made by calling the prayer chain at 683-6578, or by filling out the cards in the pew racks or by filling out the cards in the pew racks on Sunday. The flower ministry makes sure there are the beautiful flowers in the Sanctuary each Sunday. On Monday the large arrangements are made into small bouquets and delivered to hospital patients and shut-ins. If you would like to give flowers in memory or in honor of someone special, or simply donate to the flower fund, please call Buff Adams, 818-5567.